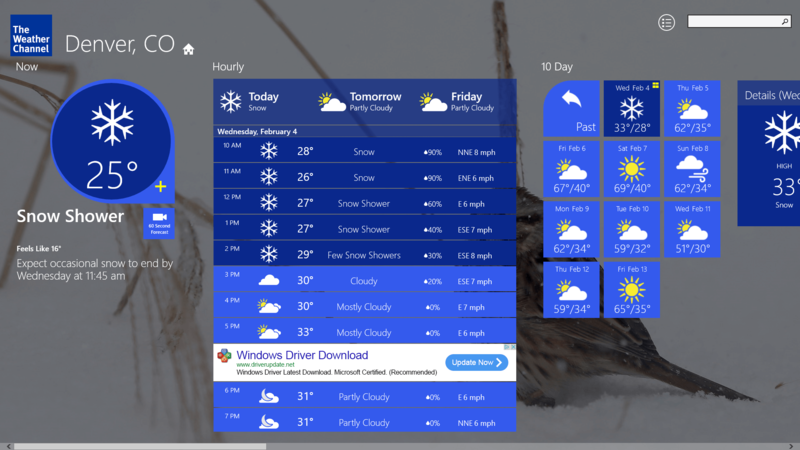 The Weather Channel app for Windows and Windows Phone has received a major overhaul today with an all new redesign and seasonal tools to give you more of your local or destination weather information. The update version 2015.204.732.3042 for those keeping score at home, brings the Windows Phone version on par with the app on iOS and Android and should be a very welcome sign for users in light of recent announcements of other developers stopping their support for platform. 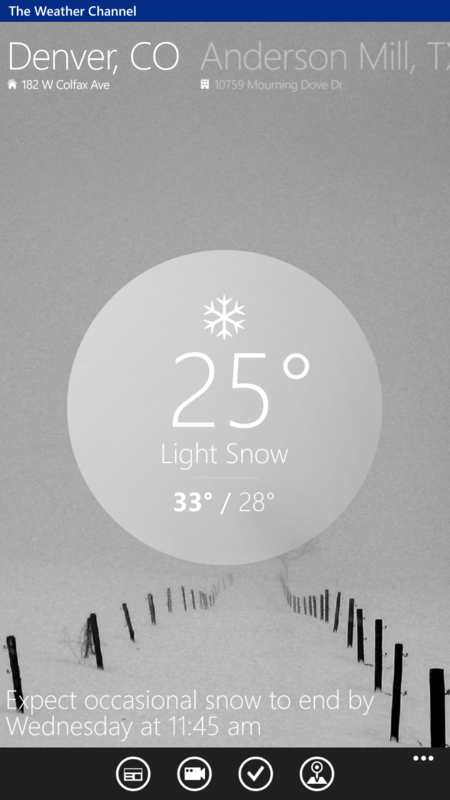 The updated version of The Weather Channel app is available now in the Windows Phone Store. detailed weather information. This includes things like the sunrise and sunset times, local radar, UV Index, and an hourly and daily forecast. This update also brings Social Weather where you can report your local weather conditions to The Weather Channel which will help them improve their forecasts and maps for your area. It also allows them to more accurately track weather in your area. Seasonal tools also come to the app in this release. Now you have things like Hurricane Central for hurricane information, airport delays, pollen count and even a boat & beach planner. The Weather Channel app is the closest thing to a Universal app that Microsoft offers under Windows and Windows Phone 8.1 (real universal apps are coming in Windows 10). Basically it means you buy an app – in this case it is free – and it gives you the ability to download the desktop app for your PC or Tablet. That version has also been updated for Windows 8.1 and supports Live Tiles on both platforms. The Weather Channel app for Windows and for Windows Phone is free.